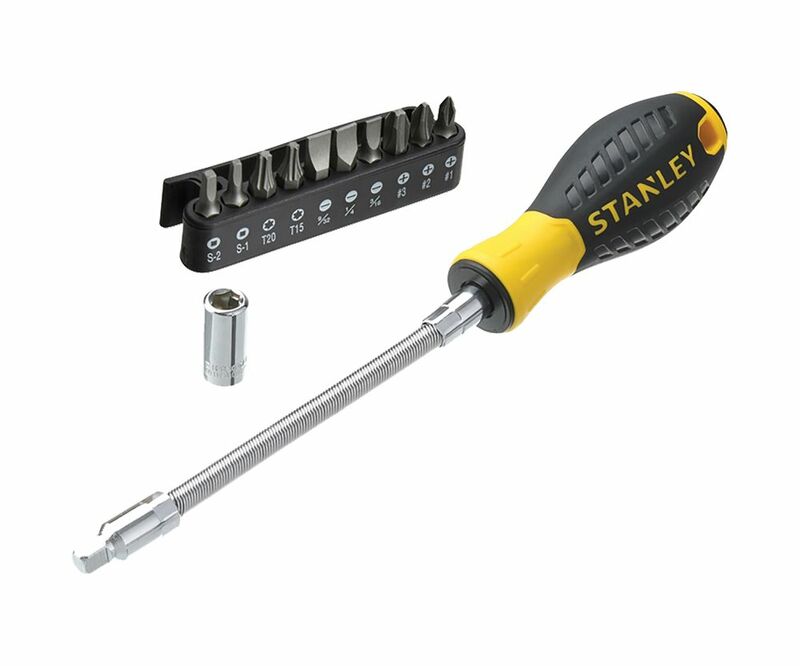 The Stanley 10 Way Flexi Screwdriver Set includes 10 replaceable 1/4in bits and an adaptor. It has a comfortable bi-material handle, along with a bit magazine with belt clip. The shaft is flexible to allow working in difficult to access areas. 3 x Phillips Bits PH1, PH2, PH3. 2 x Torx Bits: T15, T20. 2 x Sqaure Bits: S1, S2. 3 x Flared: 4mm, 5mm, 6mm.